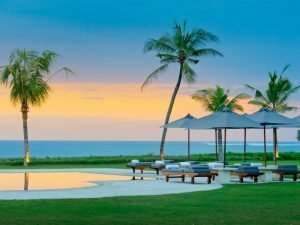 Top Information to consider before renting a villa in Sri Lanka. Villas in Sri Lanka have never been so luxurious! 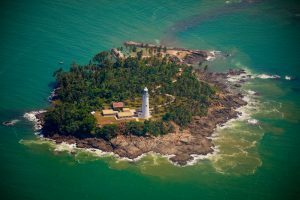 Sri Lanka may not be the first place that comes to mind when you start planning a villa holiday, yet there is so much more to this wonderful Island in the Indian Ocean than a quick trip, for which it is so famous. Sri Lanka is a great destination for families or friends, and even a greater destination for a Villa holiday. Excellent weather throughout the year, safe and stunning beaches are obvious reasons to come visit Sri Lanka: however, when it is time to take a break from your tour of Sri Lanka and escape the mass tourism, large beach hotels and resorts, villas vacations are a great choice, especially for those who seek privacy. 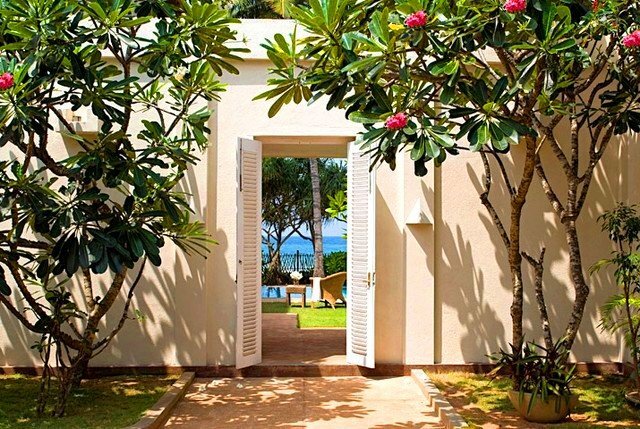 We offer a large collection of luxury villas both on the Beach and inland (including Galle Fort). However, as local experts we thought it is best that you are informed of some essential points before taking a villa holiday in Sri Lanka. Whether it is a just you and your partners seeking a two bedroom villa, or a family seeking a 4 to 5 bedroom villa, it is essential you determine the right size of your group. Villa Holidays do not always come cheap, but saying this does not necessarily mean that beach hotels and resorts in Sri Lanka are cheaper either: if you take a good look on the prices of the hotels, you will soon find out that villas are a greater choice with privacy and to have lower food cost and flexibility of food choices. Larger groups may find it rather affordable to rent a villa in Sri Lanka, rather than booking a hotel, where you need to stick to fixed menu and not to forget the noise of other tourists and the lack of privacy. Villas in Sri Lanka are also a great idea for large family gatherings, special events and weddings. Choosing the time to travel in Sri Lanka is very important. Even though Sri Lanka has Year-round friendly weather, you should not forget that it is a country with 2 monsoons. So it is important to understand which beaches are best to travel (East coast and West and the South coast). This monsoon brings rain to the south-west of Sri Lanka between May and September, while the dry season in this region runs from December to March. However, tropical rains are not the whole day, whilst it can be so, mostly rains come hard in the evenings and they can be short hours. So if you are planning a trip in June, July and August, a summer villa vacation, don’t expect rain the whole day. However seas can be rough. In the north and eastern coastal regions of Sri Lanka, the weather is influenced by the north-eastern monsoon, which brings wind and rain between October and January, and drier weather between May and September. So if Arugam Bay and Surfing is on your list or if you seek to sun bathe or swim or relax on a beach, then Nilaveli beach or Passikudah beach are ideal. Then do not forget also the inter-monsoon period, which happens during the months of October and first half of November, as well as during the month of May, when rain and thunderstorms can occur all across the island. Southern and Western parts of Sri Lanka have their Peak period from December to End of April. So this is the best period to have a beach holiday on this side of the Island. 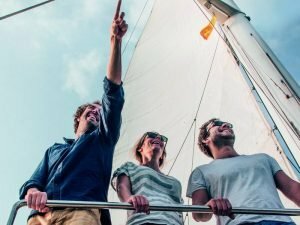 However, if you are looking to rent a luxury villa in Sri Lanka for a good deal, then off peak times can be beneficial, as you can have best of both worlds: fair weather and a lower cost. Humidity in Sri Lanka typically ranges from 60% – 90%. When you have decided to take a Villa Holiday, the best range and options of villas are in the South of Sri Lanka. From Beach villas, and Villas very close to the beach (inland Villas about 5 to 15 mins from the beach) to Galle Fort Villas are the best choices. 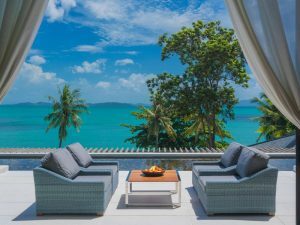 The best luxury Beach villas are in Talpe (also locally pronounced as Thalpe beach): in fact, all the top-notch Luxurious villas can be found here. 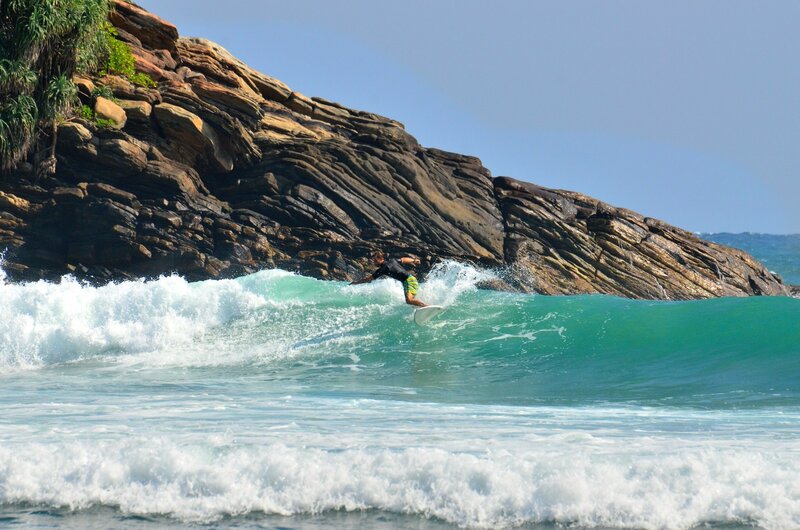 However, you find amazing properties and beach houses also further south, such as Habaraduwa, Ahangama (both in the Galle area) Mirissa, Weligama, Talaramba, Dikwella (or Dickwella) and Tangalle (also known as Tangalla). Dikwella and Tangalle have wild and large beaches, with calm bays, ideal to swim and relax. If you are looking for more nightlife, restaurants and clubs, we recommend Unawatuna or Hikkaduwa beach. You have to consider however that during Peak Season these beaches can be very crowded. Most of the Villas come with a private chef or cook who will be able to prepare your meals and are offered on “villa only basis”. This means all meals are on extra cost. Villas have generally two meal policies: à la carte Menus or “float system”. Some Villas in Sri Lanka work more on à la carte/Restaurant Menu and fixed prices. Some of these villas include Villa 102, Villa 116, Villa 4, and Villa 7 and Villa 101 in Bentota. Many of these villas rent the house by room, so they are a half-way between a Villa and a Boutique Hotel. Therefore, the choice to offer a Restaurant-styled menu. However, on a case-by-case basis, especially if you book on exclusive use, they can arrange special Menus for your group. Most of the villas work instead on a float system/ingredients basis and Menus do not have a price: this is decided on the day’s price they purchase the food from the grocery and local fish and vegetable market. The float system works as follows: the Villa cook or chef will need a float and ask for a top up when needed, and will provide you with receipts and balance etc. The Villa staff usually brings back a receipt and add a small fee for the Tuk-tuk travel cost or vehicle transport cost. 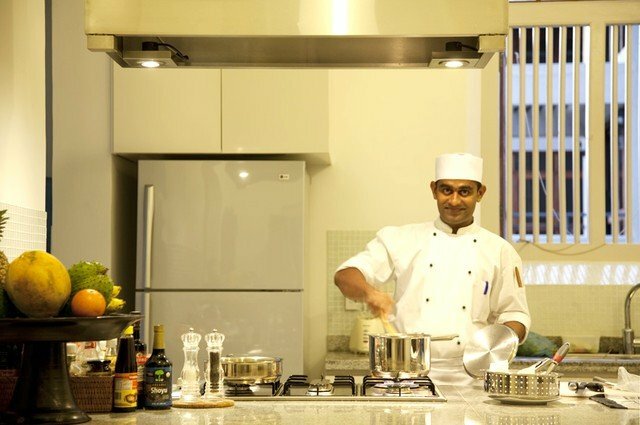 However, if you prefer, you can also buy the groceries and food ingredients and ask the Chef to prepare and cook the dish at no extra cost, provided that a Chef service is included in the villa rate (usually it is, unless it is a self-catering villa, which is not very common in Sri Lanka). If you like seafood, our best advise is to ask the Manager/Chef where is the nearest fish market to see the fresh catch of the day: lobsters and fish are cheap in Sri Lanka. At the end of the day, the Villa food policy turns out to be cheaper than eating outside in a restaurant or when booked a hotel and have to dine there. Most of the villas hire experienced Chefs and some are just cooks. Remember: Sri Lanka is an island, this means there are a lot of Import taxes on food items, so imported food and wines can be expensive. As a general rule, if you want to keep a low budget, we recommend you to try local ingredients. You will not be disappointed! After giving the villa in house Chef/Cook the list of food requirements, the Chef will send the villa staff or go to the groceries, to the local vegetable market or fish market by himself to buy the best ingredients as per your request. Once the ingredients are ready, the Chef will start to prepare the meal and get them ready before the specified time. Usually, the Villas have their own Menu, but they are more than happy to go off the menu to something special if it is possible. However, there is a limit to the food options and this needs to be always discussed with the house manager or chef and needs to be respected at times the house declines to prepare any of your requests. Some villas will not go out of their way to do anything outside the à la carte menu. Before starting your holiday at the villa, you should talk to the team to communicate your needs. You should set the schedule for serving food because different guests have different preferences. Some guests might want to wake up early, while others may want to sleep longer during the holiday. In addition, you should inform the villa staff about any food allergy or any specific food preferences – if you are a Vegan, vegetarian, or if you prefer only fish. The Chef and the villa staff can make the proper arrangements. As villa guest, you should communicate your food preferences for each meal. This will allow the villa staff to prepare and serve according to what you specifically require. This is very important, because the villa staff does not work 24-hrs. Hence, it is best to inform them ahead of time if you wish to stay a bit late or wake up early, as this will determine what time they need to prepare and serve your food. Some guests with kids and nannies might want to arrange a different time for their meal or require a special meal for the kids. Usually, the villa Chef and staff will introduce themselves to you and ask for your food preferences and requirement so that they can prepare the meal accordingly. The private villas in Sri Lanka do not have lot of staff, unlike hotels that employ to take care of different responsibilities. Hence, villa workers only work limited hours per day. Regular working hours for villa staff are from 7:00 to 22:00 hrs. Sometimes it can be a bit later or earlier – depending on the client’s preference. What is the average cost of a meal in a Sri Lankan Villa? Comparing costs of eating out, here is some guidance prices (updated 2017. We are happy to update this often as we hear from our guests). In a hotel, average USD 25 to USD 30 each. In a restaurant, average USD 12 to 15 each. Ask the Villa chef to Cook it or barbecue, you would be pushed to spend USD 40 to 50 for four people, average USD 10 to 15, but if you take Lobsters, fish or sea food this would cost you a bit more, yet cheaper than a hotel. If you are on a tight budget, try the local street food stands or roti shops (USD 4 to 7 each). For a family of four for a week, staying in a villa can save you over USD 400 to 500, depending entirely on the type of villa chosen. If you don’t want to think about ingredients, Menus and food, there are some great Villa options that come with set menus and Full Board. Just sit, relax and pay all in advance! Some of these villas require this due to their remote location, such as Villa 26, a luxury 7-bedroom Villa, Villa 61 in Tangalle (7 bedroom), Villa 16 in Talalla (7 bedroom) and Villa 91 in Tangalle. Villas 114 and Villa 90 in Weligama are also offered on Full Board. 5. TRANSPORT IN SRI LANKA: WHAT IS THE COST? Transport in Sri Lanka varies from one supplier to the other. But to give a rough idea, A car for 2 or a Van for 5 to 6 person, from the Airport to Galle or nearby can cost somewhere from USD 100 to 120. And to Dickwella or Tangalle, it can cost from USD 140 to USD 180, depending how new the Car/Van is and the make of the vehicle. You can read more on our dedicate page about Sri Lanka Drivers and Tour Guides. 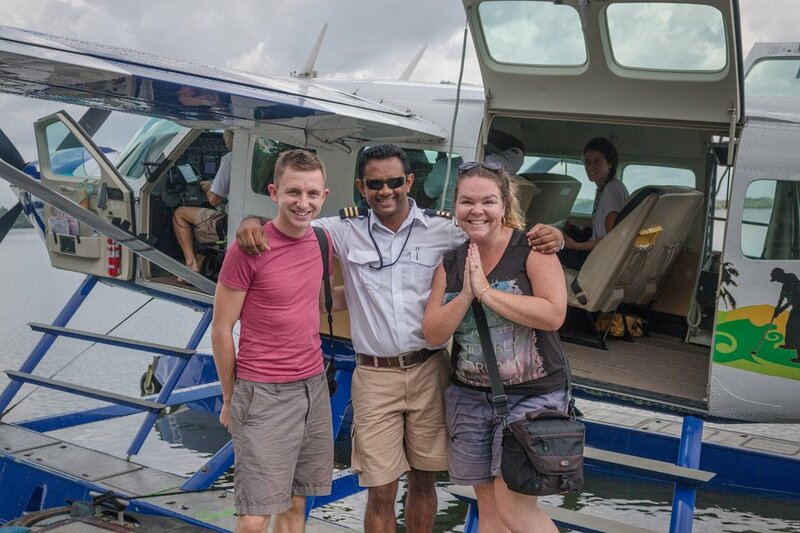 Then there is also the luxury and quick transport method to your villa: we can arrange transfers from the international airport straight with a seaplane. After landing, another vehicle will come to transfer you to the booked villa. Villas on the Beaches in South of Sri Lanka are not always safe for swimming or surfing: you should never assume all beach villas offer safe swimming just outside the villa. Most villa staff and managers are able to advise the best spots, for swimming or surfing. Some villas do come with rocky seafronts, and the villa staff can advise the distance to walk or travel for a safe swimming spot. Same goes for surfing, and during the off peak season, best to avoid Swimming or surfing altogether (same applies to Surfing body boarding or paddle boarding). So it is always good to ask us what are the safest areas. 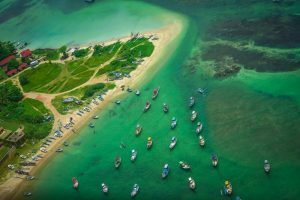 Also check out our article with a selection of best beaches in the South Coast of Sri Lanka for 2019. If you are looking for the best period to book a Beach Villa in Sri Lanka, the answer would be at least 9 months to a Year for peak season. The most popular villas tend to get booked several months in advance. 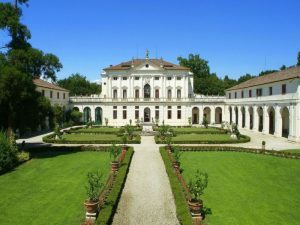 If you are sure that you want a particular villa for a particular time period, put a deposit on it. In most cases it is first come, first served. Contact us to check availability, the website is frequently updated with availability as we hear from the owners, but the occasional cancellation and last minute bookings may take time to get updated on the website.